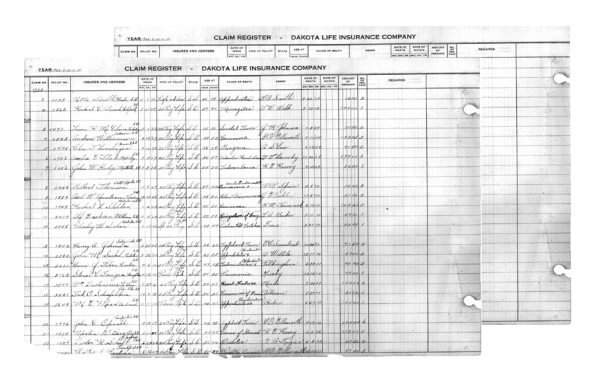 Dakota Life's death claim register (seen below) illustrates the local impact of the worst epidemic to strike the world during the 20th century: The Spanish Flu outbreak of 1918-1919. This outbreak in the United States dramatically increased claims. 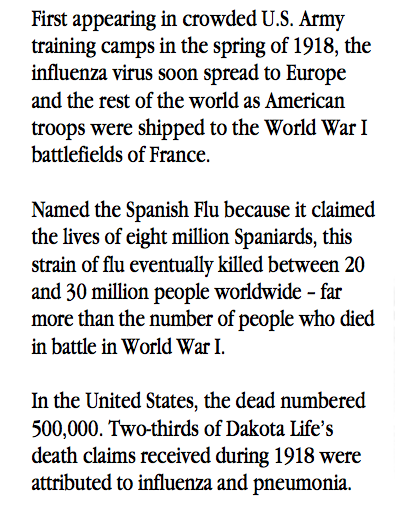 First appearing in crowded U.S. Army training camps in the Spring of 1918, the influenza virus soon spread to Europe and the rest of the world as American troops were shipped to the World War I battlefields of France. Named the "Spanish Flu" because it claimed the lives of eight million (8,000,000) Spaniards, this strain of flu eventually killed between 20 and 30 million (20,000,000 to 30,000,000) people worldwide - far more than the number of people who died in battle in World War I. In the United States, the dead numbered 500,000. 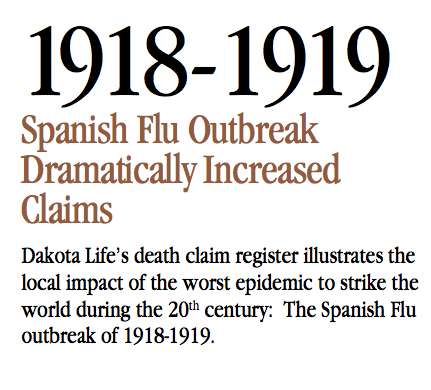 Two-thirds of Dakota Life's death claims received during 1918 were attributed to influenza and pneumonia. Claims register shows dramatic increase in death claims due to influenza and pneumonia in 1918-1919. 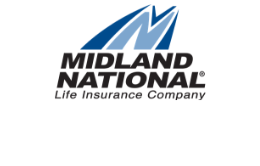 To see the story of the first death claim for Midland National (then named Dakota Mutual Life Insurance Company) click here.